The compositions are exceptional in many respects: First of all the unusual formation of the ensemble stands out. 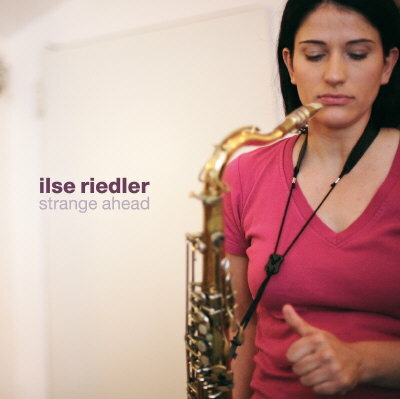 The band consists of the composer Ilse Riedler (saxophone, clarinet, bass clarinet, flute), and the musicians Ingrid Oberkanins (percussion), Jojo Lackner (e-bass) and Lukas Knöfler (drums). The ensemble was founded in spring 2007 and quickly developed into an expressive and dynamic band. The abandonment of a harmonious instrument for the benefit of a percussionist expands the sound and tone potential, which is transformed by the musicians in a very enriching manner. The multifaceted use of instruments (hang, loops, bass-effects, bass clarinet…), highlights a flexibility and mobility. Beyond that, the intense interchange between complexity and openness regarding diverse styles of music is extraordinary. This is successfully and absorbing established throughout the CD. The songs are a melange of different grooves, beats and sounds, which is consistently opposed to a range of modern and free tone colours. The contrast of uneven metrical beats and jazzrock is absorbing and convincing. The diversity in tone is remarkable, and for example is created by using electronics (Philipp Nykrin) or a horn arrangement in „open this end“ (Martin Reiter). The musicians are convincing in their forms of expression through intensity, virtuosity and complexity. Exciting impulses are set with the alternation of interactive play versus improvisatory components. The multilayered texture of the compositions creates a fascinating and enthralling atmosphere. The brilliant and fine alignment of tunes and rhythms produces capacious, dense but still compact sound patterns. Altogether the CD presents an exceptional and diversified and therefore absolutely worth listening to compilation of remarkable songs.